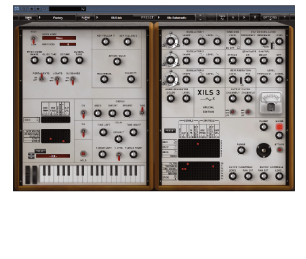 The XILS 3 is a virtual instrument based on the of the architecture of the EMS VCS3* matrix-based modular synthesizer. The XILS 3's Matrix connection brings modularity and sound design to a new dimension. More than 450 connections (audio signal, controls signal, trig signals) are available on the XILS 3, much more than any other type of modular synthesizer! Easy to connect, easy to modify, easy to see, the matrix is far and away the easiest way to connect modules to each other. But a connection matrix would be nothing without modules to connect! XILS 3 boasts alias free, warm sounding analog style oscillators, analog curve matching, 2 pole and self-oscillating 4 pole dynamic filters, fast envelopes, a noise generator, a spring reverb, and a ring modulator.